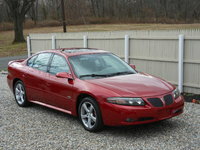 Start a new Pontiac question. In 1907, the Pontiac Buggy Company decided to branch out into the nascent automobile market by launching the Oakland Motor Company. Two years later, it was acquired by GM, which introduced the first Pontiac car in 1926, one of the few enclosed hardtops in a market full of fabric tops. Falling between the cheaper Chevrolets and more luxury Cadillacs, Pontiac was slotted for the middle class and built a strong reputation in upscale yet affordable sedans. 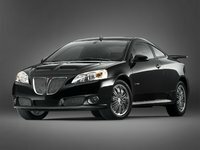 Today, Pontiac is rebuilding its image with performance-oriented cars and has waged a successful marketing campaign by becoming a staple prize on reality shows such as Survivor, Big Brother, and the Apprentice. Perhaps its biggest advertising coup was when Oprah gave away the then-new G6 midsize sedan to her entire audience in 2004. There are two classic Pontiac models that were trendsetters in their respective eras. In the 1950s, Pontiac began to move away from its reputation for building bland but reliable sedans by pursuing more race-inspired designs. It entered the racing circuit in 1956 at the Bonneville Salt Flats, which gave their name to the now legendary full-size boat our grandparents all drove. The Bonnie was an example of the 1950s fascination with things huge and set the stage for big-bodied cars. Pontiac's new platform design was reportedly the widest available in the market. Pontiac hit its peak in the 1960s with its powerful V8 engine. By putting this large engine into the midsize Tempest and calling it a GTO, it launched the muscle car era. 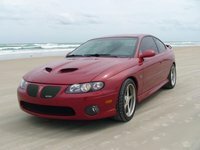 The Pontiac GTO was an affordable racer and is a legend as much for its power as for its easy modifiability. 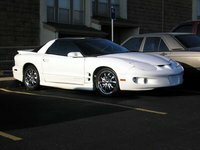 It gave birth to a slew of performance models, such as the Firebird, Trans Am, and Grand Prix. 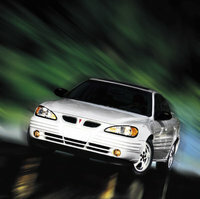 After a 30-year breather, Pontiac recently reintroduced it in 2004, in coupe form only. After the gas crunch of the 1970s, Pontiac focused on smaller cars, such as the Fiero, Sunbird, and restyled LeMans, though it tried not to sacrifice sporty performance elements. 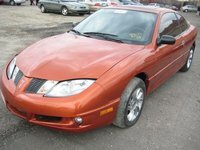 A big turnaround came in the 1990s, when Pontiac finally lived up to its We Build Excitement slogan by introducing the Sunfire, an affordable convertible. It entered the minivan market with the TranSport (clever, eh?) and later the now-defunct Montana. In the crossover market, the ill-fated Aztek was never given a fighting chance due to its unusual style, though owners love its roominess and cargo capacity. 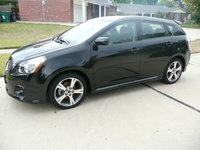 A similar SUV-crossover, in partnership with Toyota's Matrix, is the Vibe. Smaller than the Aztek and with a more appealing style, it's aimed at a young audience and continues to be very successful. Today, Pontiac wants to distinguish itself from the other GM lines by emphasizing its heritage of combining high-end comfort with top-end driving performance, and a new G line of cars is underway. In the sedan market, the G5 replaces the old Sunbird compact, while the Oprah-fueled G6 is the midsize version. It was the 11th best-selling car in 2005, and a convertible version is due for 2007. The Grand Prix has been around since 1962 in one shape or another, starting as a luxury sedan, moving into the midsize market, and now serving as the largest sedan in the Pontiac lineup. 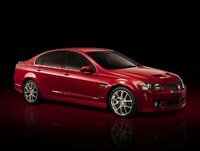 A new G8 in the works is set to replace the Grand Prix in 2008/2009. Pontiac's newest car is its sporty convertible Solstice, whose style and horsepower have reinvigorated the company's image. A new turbo model delivering 260 hp is set to be released soon. 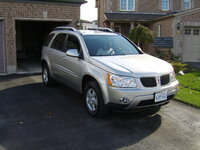 The Torrent is Pontiac's latest SUV entry and is new for 2006.